We pride ourselves in taking care of our customers and we love hearing from you. 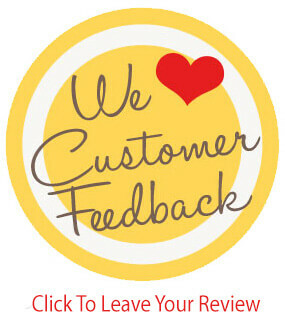 Leave A Review about your experience with our staff and the service that we've provided. We also love to hear about your RVing adventures. Keeps those cards and letters coming, and read on to learn what other customers are saying. Or, if you want any information about who we are and how we can help get you into the camper of your dreams, you can contact us. Hi Dave - I just wanted to take a minute to thank you your kindness when we were considering selling our motorhome. I'm sure that you could tell that in my heart of hearts, I didn't want to sell. Someday we will be able to use it and I think we would have regretted selling. Anyway, you were remarkably kind and patient and we just really wanted to thank you. If ever we were in need of anything RV related, we would come see you in a heartbeat! Also, we will continue to highly recommend You and Hitch! Months after being interested in a particular model of an older Open Range we got an email out of the blue that one was traded. We drove 3.5 hours to see it, bought it, no hassle or hard sell. Ran into an involved unexpected issue with the VINs on title and trade in not matching. Dan Hayden took it upon himself to contact Forest River about the issue. He worked it out and the trade in went flawlessly. So impressed #1 that he even remembered us and #2 that he went over and above to correct an issue we didn’t know existed. The unit we purchased was delivered and is beautiful. We will Recommend HitchRV to Everyone!!! We love you dave. Thanks for looking out for us and making sure we had the right trailer for us. I have to tell you I was very impressed with the gentleman that called us from service (Jim) as well. Very Courteous. Very proactive regarding the setup and delivery of our new second home. can you please thank him, as a pat on the back goes a long way indeed. Let’s face it, it’s very easy to complain but my wife and I feel that it is very important to tell people when they do a good job too. Sales is important but SERVICE is everything. You and your team just made us feel a lot better and more at ease over this whole transaction. Believe it or not it does pay off. With us the payoff is this. If we like this life style we are buying a park model or a destination trailer. We will be doing this next season. Guess who we will be buying it from. PS. Hey we got our trailer today, we love our trailer and we love Phil. He was great and, so are you. Please thank Tom and Jim again too. DAVE AND TRINITY WERE GREAT TO WORK WITH. DAVE WAS VERY KNOWLEDGEABLE AND PERSONALABLE. TRINITY WAS EXTREMELY HELPFUL AND INFORMATIVE. WE RECEIVED OUR CAMPER SO QUICKLY AND HAD NO PROBLEMS WITH HITCH RV. WE ARE SO HAPPY WITH OUR CAMPER AND THE SERVICE WE RECEIVED WITH HITCH RV. THANK YOU TO DAVE AND TRINITY FOR MAKING THIS PURCHASING PROCESS SO EASY AND FLAWLESS. I wanted to tell you what a great experience it has been doing business with you and the others at Hitch. Barry and I expected the purchasing process to be a painful one like buying a car, it was not! Instead, it was quick, easy and enjoyable. The delivery team was awesome! They took a lot of time giving us tips, explaining and showing us things about the Puma. We really needed it too, being first timers. Thanks again to you and the rest of the team. I did enjoy the searching for a used trailer with Patrick, I made this an enjoyable event. Also Patrick did everything he could to help us lock in good financing for the trailer. Making New Forever Friends !!!!!!!! Thank you Dave and your team at Hitch RV in Milford for making this the easiest purchase we have ever made. We saw it, then called you and were so fast to get back to us and we were able to get everything else together either by phone or email and as busy as our schedules are , we really appreciate that. Everything was ready at pick up and your service guy was great in going over our entire trailer with us even though we have had one before. Thank you Hitch RV. Hi Dave, we wanted to say thanks for everything you did for us that made buying our first camper such a pleasure. We loved talking to you at the RV show in Oaks and we absolutely love our new Heritage Glen, Pete did a great job getting our RV settled in our campsite. Dave, thanks again for everything you did for us. Honesty and product knowledge of the salesman, Dan Hayden, was THE biggest factor in coming down 2 hours from our house. We met at the AC rv expo and from the first word everything was on point. We came liking the Keystone Bullet 272 bhs, and left with the Coachmen Freedom Express 275bhs. No hassle, no gimmicks and Hitch Rv beat every other dealers price and trade in offers including 3 Camping World locations in 3 states. We work hard for our money and really value a family business that takes our needs seriously and works harder to earn our trust. From the moment we arrived we were impressed, met by the salesman at the parking area, and immediately went to work putting the deal together. The entire shop team came together to get us rolling down the road in record time. Something very few rv businesses can pull off. We loved our little trailer but it was time for an upgrade in size and luxury glamping. The new travel trailer has many features and gadgets that will keep us happy for years. Hopefully sooner than later we want to return and have another truly wonderful and painless experience. To the whole dealership team a heartfelt thank you from the Martinez Family. Thanks to our Salesman Dave who was the most honest businessman I have ever met. He made sure all of our question and concerns were taken care of. Special thanks to Kim in the Warranty department who took care of my complaints in regards to Crossroads manufacturing. If you are going to buy an RV, Hitch is the only place to shop. We love our beautiful trailer! WE CAN'T THANK YOU ENOUGH! We wanted to thank you, Dave, and your Team at Hitch RV for making our grand daughter's summer, She loves the "Peanut Room" and we have told every one we know that if they are looking for an RV to go see you. We really love our Sunset Trail and every one at your dealership has been fantastic from the day we met you to the day we picked it up, We are so happy we came to see you and can't thank you enough for rescuing our summer. Allen And His Team Really Made The Day!